Mark is a solicitor of the Supreme Court of Queensland. He is also a solicitor of the High Court of Australia. Mark is a member of the Queensland Law Society and the Queensland Family Law Practitioners Association and the Family Law Section of the Law Council of Australia. He holds a Bachelor of Laws and is a Partner of Family Lawyers & Mediation Services. Mark also holds the position of a Commissioner for Declarations for the State of Queensland. Mark has undertaken further study as an Independent Children’s Lawyer and also in Mediation which gives him understanding of children involved in family law matters and the strategy of negotiation to resolve family disputes. In year 2018 Mark celebrated 40 years of real practical experience in family law. Mark formally commenced his legal career in year 1980 after completing year 12 school, however for the 2 years prior to that he worked part-time in a legal office which provided him with valuable practical experience. Whilst studying law at the Queensland University of Technology he continued working full-time in legal offices and after 3 years was awarded a Chamber Certificate in the Supreme Court of Queensland. Mark regularly represented clients in the Family Court, Supreme Court, District Court and Magistrates Court. 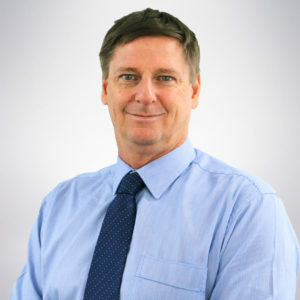 Although Mark has always practiced in Family Law relating to children and property settlement and child support and domestic violence matters, his significant legal experience also includes having represented clients in commercial litigation matters (including 3 years litigation in the Federal Court against major banks), and personal injury claims for clients, and complex property matters involving leasing and land developments and matters with the Australian Taxation Office, and the writing of bylaws for Councils. Mark has during his career been involved in matters representing the Liberal Party, Labor Party, National Party as well as the Rockhampton City Council and the Gold Coast City Council. Mark has developed over the years the real practical Experience. Mark has focused his legal work solely in Family Law since year 2003 when Francis & Binnie Lawyers commenced (which later became Family Lawyers and Mediation Services). Mark has been a resident of the Gold Coast since year 1987.